Reno Omokri, the former aide to ex President Goodluck Jonathan, has provided historical background to the campaign organization for the re-election of President Muhammadu Buhari spokesman Festus Keyamo over his reaction to Bukola Saraki’s defection from the All Progressives Congress (APC). This is following the statement made by Keyamo where he noted that the choice of leaders for 2019 would be between those who have returned to their vomits and those who never returned to lick their vomit. 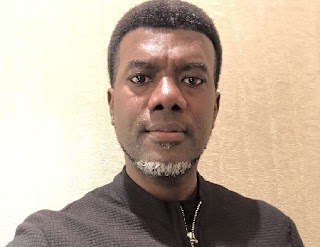 However, Omokri in his response said that, Buhari had defected from one political party to another more times than the Senate President. He said “Dear Keyamo, don’t rewrite history. President Buhari has been in and out of more parties than Bukola Saraki. “In 2002 he was in ANPP. On February 3, 2010 he resigned from ANPP. In 2011 he was in CPC. In 2014 he was in APC. Preach to Buhari not to Saraki,” Omokri tweeted.